LONDON — For nearly two years, British Prime Minister Theresa May doggedly pursued a divorce agreement with the E.U. After much back and forth, a hard-won agreement was negotiated in November. But that may have been the easy part. 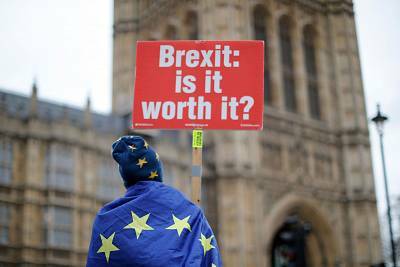 On Tuesday, the deal looks set to be roundly rejected by British lawmakers, with many members of May's own party expected to vote against it. 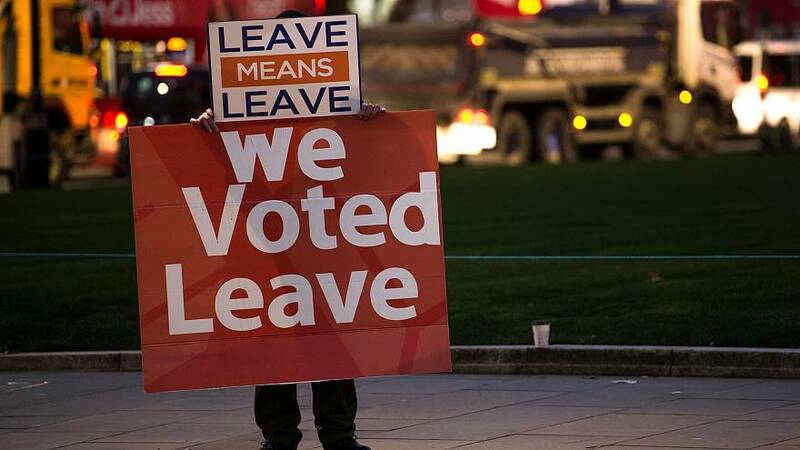 Such a defeat for May's government in one of the most consequential parliamentary votes for decades throws up a big question mark over what's next for Britain as the clock ticks down to its departure from the E.U. in 73 days. The U.K. has a deeply entrenched relationship with the 28-country bloc, with laws and regulations covering everything from international trade to workplace rules and even cellphone contracts. Though May is keenly aware of the strong opposition to her deal, she still spent much of Monday warning lawmakers that Brexit itself would be in danger if Parliament voted it down. She highlighted that some politicians wanted to wish to "delay or even stop Brexit and who will use every device available to them to do so." A day earlier, May warned that failing to deliver Brexit would be "catastrophic" for democracy. Ministers in her government also said that thwarting the outcome of the 2016 referendum could lead to rise in far-right populism. The heart of the problem is the lack of consensus in May's own Conservative Party — and Parliament as a whole — for any one particular type of withdrawal from the E.U. Some lawmakers want no Brexit at all, others want a closer relationship than May's deal offers, while still others feel that her proposal doesn't go far enough in severing the links between the two. There are also concerns for what Brexit means for the border between Northern Ireland, which is part of the U.K., and the Irish Republic, which is a separate country and will remain part of the E.U. The border is currently more or less invisible and there are no checkpoints. Some fear the reinstatement of a physical boundary risks a return to "The Troubles," rekindling tensions that might spill over into violence. A 1998 peace deal ended decades of conflict. If the chaos surrounding May's deal sounds familiar, it's with good reason. Lawmakers were originally scheduled to vote on the deal on Dec. 11. Her government pushed it off, hoping to both change politicians' minds as well as to score new concessions from the E.U. But May's approach doesn't seem to have worked, with the E.U. 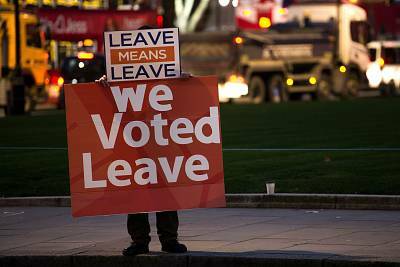 consistently saying that any renegotiation was off the table, lawmakers as entrenched in their views as ever and the prime minister widely expected to lose Tuesday's vote. If the vote does fail as expected, what happens next is anyone's guess. "Normally I would say the British government will fall but these are not normal times," said Feargal Cochrane, the author of "Brexit and Northern Ireland: Breaking Peace," a book due to be published at the end of the year. "If they stand up and say we weren't expecting this, they will be laughed out of court." If May does have a plan B ready in the event her plan is rejected,she's kept it to herself. The rules state that within three days May must update Parliament on her next steps. Within a week of that statement, lawmakers will vote on it. Hanging over the heads of lawmakers is the threat of crashing out of the E.U. with no divorce deal or future trade arrangements. This is the outcome that a large majority of lawmakers want to avoid — it's also the most likely at the moment. If Parliament does nothing, Britain will leave the E.U. on March 29. The only way to avoid this would be for Parliament to either approve a withdrawal agreement, or to revoke its notification to leave the E.U. Officials have intensified preparations for what many are predicting will be a nightmare scenario. The government's own analysis as well as independent reports predict that the world's fifth-largest economy would take a serious hit, goods could become snarled at the border, flights could be disrupted, and food and medicines may have difficulty getting into the country. Even if a withdrawal deal is approved soon, there may not be enough time for Parliament to pass all the legislation that needs to be in place by Brexit day. That could lead to a delay to Britain's official exit from the bloc. Spain's foreign minister said on Monday that the E.U. could agree to extend the deadline, but not beyond May. A delay would likely also be needed in the event of two other possible scenarios: a general election, or a second referendum. Any delay to the date of Brexit would require unanimous approval from leaders of the E.U. 's remaining 27 member states. In the meantime, lawmakers are brushing up on their knowledge of parliamentary procedure as they try to wrestle control of the Brexit process from what Cochrane called "a zombie administration." "What we need to do is find the solution," said Conservative lawmaker Nick Boles, who planned to vote for May's deal. "And if the government can't find the solution ... then Parliament needs to," he told the BBC.